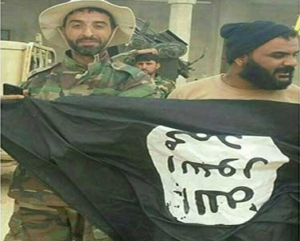 Photo 1: Islamic Revolutionary Guard Corps member Ali-Asqar Karimi holding Islamic State flag in what appears to be Iraq, posted on social media on February 27. A casket carrying the body of an Iranian sniper killed in combat in Iraq on February 25 was received in Tehran three days ago. An Islamic State mortar killed Ali-Asqar Karimi near Mosul, according to a colleague. A military campaign by Iraqi forces to dislodge Islamic State is underway in Ninewah province, backed by Kurdish, Sunni and Shiite militias as well as US airpower. The Basij, also known as the Organization for the Mobilization of the Oppressed, is an all-volunteer force that acts as auxiliary to the IRGC Ground Forces branch and also as a vigilante group enforcing public morality laws. Over the past five years, Basij members have deployed to Iraq and Syria as part of IRGC expeditionary forces. The photograph on Karimi’s casket shows him wearing the armband of the Hezbollah Brigades, an Iraqi Shiite militia close to the Guard that has been designated by the US Treasury as a terrorist group. IRGC elements are known to operate out of such militias, and his armband indicates that he was as well. Photo 2: Casket of Karimi who was killed during Mosul campaign, posted February 27 by Iranian media. Depicted wearing the arm patch of the Iraqi Hezbollah Brigades, the logo of which replicates Lebanese Hezbollah. Karimi had several previous “voluntary” deployments to “defend the shrine of the House of God,” according to Iranian media. That also could denote deployments to Syria, where Iran claims to defend Shiite shrines against extremist Sunni militants. Karimi was injured in his last tour, and returned to the battlefield after a two-month stay in Iran, according to his colleague. It is currently unclear whether Karimi was embedded only in the Hezbollah Brigades throughout his tours. Karimi is the second confirmed Iranian combat fatality in Iraq since the Mosul campaign commenced in October 2016. An IRGC Ground Forces commander was killed last month near Tal Afar, an Islamic-State-held town west of Mosul. Since November, IRGC-backed Shiite militias have held positions in that western Mosul axis. Those forces are operating within the Popular Mobilization Forces (PMF), an umbrella organization of diverse militias constituted by many IRGC-backed elements. In the past week, the PMF and Iraqi army forces have made gains to the west of Mosul, and near Tal Afar in preparation of an assault on the town, according to a PMF spokesman who spoke with Fars News. Iranian military officials may be obfuscating Karimi’s record because IRGC chief Major General Mohammad Ali Jafari proclaimed in November 2016 that no Iranian forces were present in the battle for Mosul. While Jafari acknowledged an advisory footprint in Iraq, the deaths of a senior commander and a young sniper near the battlefield suggest that Iranians are engaged in combat as well. Regular Iranian military personnel have been operating in Iraq since the 2014 Islamic State incursion. Last summer, for instance, at least two Basij members were killed leading up to the Fallujah operation. These fatalities, however, do not reflect the full Iranian losses: the Qods Force, the IRGC’s extraterritorial branch, is not known to acknowledge deaths, lest a senior commander be killed. The fatalities of regular Iranian military personnel in Iraq indicate that elements from the Ground Forces continue to augment the Qods Force, which has been strained by deep involvement in Iraq and Syria, and further afield as in Yemen. Tehran’s military involvement in Iraq covers training, advising, assisting and equipping Iraqi militias as well as limited combat roles. That engagement is expected to continue after the Mosul campaign as IRGC-backed elements vie for political, military and social influence in Iraq. Am wondering how a sniper was killed. Couldn’t be anything like that Stalingrad movie. Maybe he was just too careless after coming back after a two month stay in Iran. One becomes a wee bit slow to react , or maybe he was on pain killers, which slowed his physical as well as mental facilities . Fortunes of war. So Iran wants a pro-Iran Iraq. And what does Iran want after that? Thank Allah someone’s willing to put boots on the ground to fight ISIS! Iran is the most mature of all the crazy, Islamic countries. Hopefully America will see this and make changes vis-à-vis PK and SA. We should not take sides Sunni-Shia… not our jungle, not our monkeys! (Robert) , it was a MORTAR! I’ve often wondered, all these jihadists…does ANYONE claim these bodies? Contrary to all the hate we’ve manifested here in the west, towards all these ruthless scumbags, they are STILL somebody’s child……a sister somewhere cries deep into the night for her brother who somehow made it into his twenties, despite crushing poverty that didn’t even let him learn how to write his name, only to join some jihadists who convinces him that he can make a difference in life. That lie will never be revealed to him or any other illiterate Muslim, of which the world is flooded with. Where are their mom’s, or dads? ? Why do they lie to their children, who should be in school? What lies do they tell their children , that they sacrifice so much? Iran, you should be ashamed! Sounds like a mortar was dropped in on him. Accidentally got lucky or his position may have been targeted. One less America has to fight at a later date.